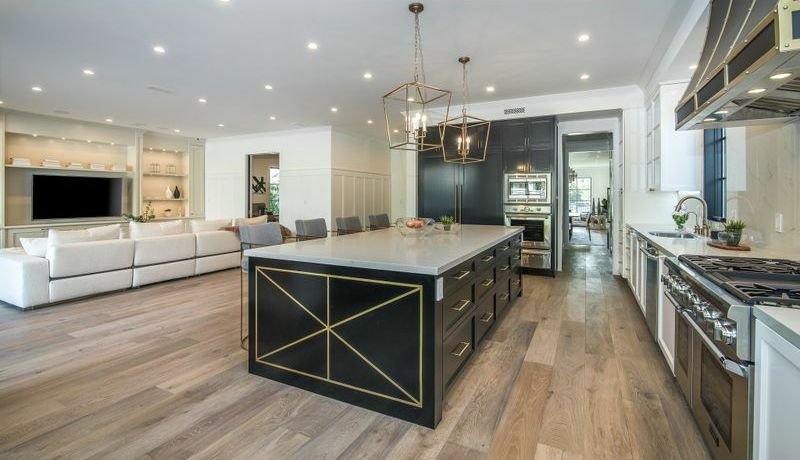 High-profile sports agent Rich Paul just made his own slam dunk with the purchase of a Los Angeles-area home for $4.35 million. Paul is NBA superstar LeBron James’ agent. As his new home is located just south of West Hollywood, Paul won’t be too far from James, who owns two Brentwood properties. The 5,600-square-foot contemporary Traditional boasts six bedrooms and 5.5 bathrooms. Visitors are welcomed to a spacious combination living and dining room clad with distinctive white wall paneling. Matte-finished wide-plank hardwood floors and a cozy fireplace balance out the chilly white-on-black drama and grid lighting, and render the central living area a touch rustic-casual. The kitchen stands out with a blend of light and dark cabinetry, brass pendant lighting above a large island, and built-in booth seating in the breakfast nook. The kitchen flows straight into the family room, which opens broadly to the little yard via a full wall of glass sliders. The exterior packs in many of the upscale SoCal necessities: a built-in barbecue, patio space, and a swimming pool with a waterfall features. 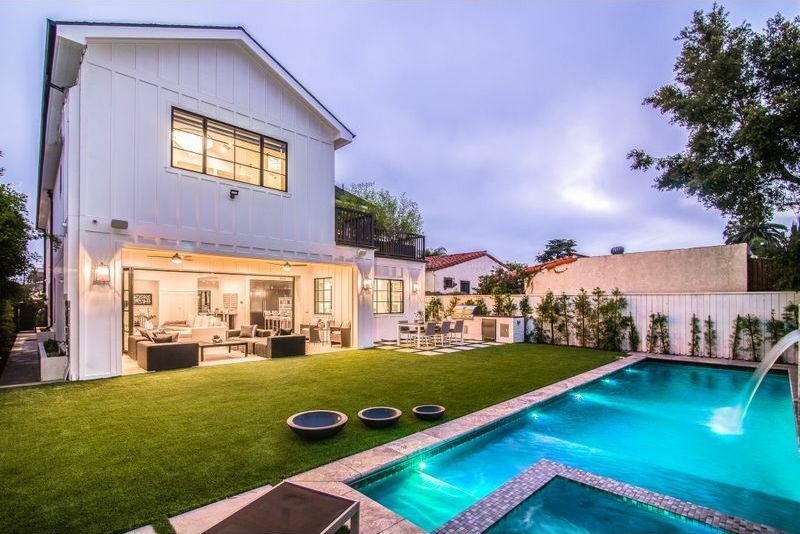 Paul—who opened agency Klutch Sports in 2012—owns a second Los Angeles-area home. He purchased that property about two years ago, for $3 million.